Pyongyang confirms its sixth nuclear test, after 6.3-magnitude tremor was recorded near nuclear test site. North Korean state television announced the country has successfully tested a hydrogen bomb, CNN reported. The news came after an earthquake was recorded Sunday morning in North Korea near the country’s nuclear test site, South Korea’s Yonhap news agency said, citing South Korean military officials. The US Geological Survey recorded the magnitude of the earthquake at 6.3. The South Korean Joint Chiefs of Staff claimed that the earthquake was “artificial,” and was “presumed” to be due to North Korea’s sixth nuclear test. An announcement in China similarly said that an explosion was suspected to have occurred. “The power is 10 or 20 times or even more than previous ones,” said Kune Y. Suh, a nuclear engineering professor at Seoul National University, according to Reuters. “That scale is to the level where anyone can say a hydrogen bomb test.” Similarly, a representative of the Japan Meteorological Agency said according to Reuters that the tremors were "at least ten times as powerful" as Pyongyang's last atomic explosion a year ago. Following the earthquake, South Korea’s internal National Security Council immediately convened a meeting on the issue. It is not yet known if damage was caused as a result of the reported earthquake. The reports come after North Korea claimed on Saturday it has developed a hydrogen bomb (H-bomb) which can be loaded into the country's new intercontinental ballistic missile (ICBM), AFP reported, citing the official Korean Central News Agency. Questions remain over whether Pyongyang has successfully miniaturized its weapons, and whether it has a working H-bomb, but KCNA said that leader Kim Jong-Un had inspected such a device at the Nuclear Weapons Institute. 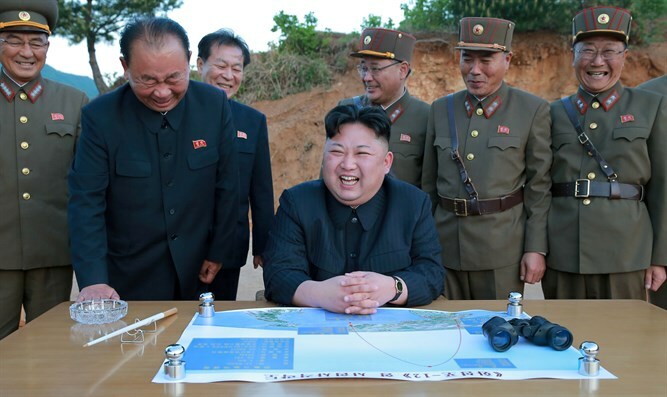 It was a "thermonuclear weapon with super explosive power made by our own efforts and technology", KCNA cited Kim as saying, and adding that "all components of the H-bomb were 100 percent domestically made".